With more than four decades of success, the International Consumer Electronics Show (CES) reaches across global markets, connects the industry and enables CE innovations to grow and thrive. The International CES is owned and produced by the Consumer Electronics Association (CEA), the preeminent trade association promoting growth in the $186 billion U.S. consumer technology industry. CEA represents more than 2,000 corporate members involved in the design, development, manufacturing, distribution and integration of consumer electronics products. All profits from CES are reinvested into industry services, including technical training and education, industry promotion, engineering standards development, market research and legislative advocacy. Thursday, January 7th : 10 a.m.-6 p.m.
Friday, January 8th: 9 a.m.-6 p.m.
Saturday, January 9th : 9 a.m.-6 p.m.
Sunday, January 10th : 9 a.m.-4 p.
Bett is the global meeting place for everyone who is passionate about the transformational power of learning technology. Every year, thousands of visitors come to discover how technology can improve and enhance learning. Student expectation has never played a more important part in university decision-making. The introduction of £9,000 fees has placed an increasing burden on universities to respond to the demands of their students and provide a much more business-like service. Whether it’s enabling users to bring their own devices to campus, providing 24/7 support or personalising learning, the pressure on universities to deliver is immense when it comes to technology. DISTREE EMEA creates an unrivalled opportunity for channel leaders across EMEA to meet and do business with their existing and prospective vendors. DISTREE EMEA will assemble leading Technology Distributors from more than 75 countries with the leading technology vendors of the industry — in the most unique, intimate and stimulating atmosphere imaginable. Our DISTREE concept, successfully launched in 2003, is based on this clear concept: we bring high-level buyers into productive contact with vital vendors. When the top distributors from 75 countries get together, you need to attend. Building strong channel relationships requires time and effort and DISTREE EMEA allows you to tap into the dynamic and changing markets throughout EMEA. Even if you have already appointed distributors in EMEA, DISTREE EMEA offers significant advantages and opportunities for the development and extension of your channel strategy. SST Moscow is the major event for exhibitors, end-users and government involved in the security community in Russia. The annual International Forum “Security and Safety Technologies” (SST Moscow) to be held February 14-17, 2012 in “Crocus Expo” exhibition center, for the 16th time will present everything the modern security and safety industry has for ensuring the security and safety of business, state and individual. ■ New quality of exhibition delivery for SST clients = ROI beyond all expectations! Business program of the event covers most actual subjects and trends of Security Market in Russia and abroad. Cloud Expo Europe is the single most important event for business and public sector organisations – big or small wanting to unlock the potential of cloud computing. Cloud Expo Europe 2014 offers a world-class conference programme, with 9 streams and 8 dedicated theatres, including top industry CTOs, important analysts and over 50 case studies. The biggest gathering of thought leaders and practitioners in Europe. Cloud Expo Europe is Europe's premier event for cloud computing organised by CloserStill Media Ltd, is in its 4th year. In July 2012 it was honoured with the prestigious Best Trade Show, Association of Event Organisers (AEO) Excellence Award. The 2012 event successfully differentiated itself by hosting five of Tech Target’s 2010 & 2011 top ten global leaders and being the only event of its kind with an independent BPA audit of its total attendance of 4,750 delegates. Cloud Expo Europe represents the fast-paced, dynamic and ever changing cloud computing industry; its conference content and show features continually evolve to mirror the needs of the cloud industry and those businesses implementing the latest cloud technologies. The Mobile World Congress features the very latest in technology, services, and developments, bringing to life the promise of mobile broadband for all and defining the industry's path to continued growth. The Congress brings together the eminent leaders and personalities from mobile operators and equipment vendors, as well as those from the Internet and the world of entertainment. The Mobile World Congress provides a one-stop-shop for everyone looking to understand what will drive the success of the mobile industry over the next year. Year over year, the GSMA Mobile World Congress attracts the largest number and highest-quality attendees of any event in the mobile industry. And true to our name, this is truly a global event: attendees came from 205 countries from around the world. Beginning in 2014, Mobile World Congress will take place at Fira Gran Via in Barcelona, Spain. Our new location is located a mere 4 km away from our previous location. CeBIT is the world's premier and most international event in the digital industry. Cloud Communications 12 is one of the most important areas of Unified Communications. As the delivery model for so much of Unified Communications, how well do you understand the abilities – and appreciate the limitations – of cloud computing? Find out how to put the development and execution of comprehensive Unified Communications strategies at the top of your agenda in order to meet the productivity demands of end users. Device agnostic or device specific, plug and play solutions for mobile are empowering remote workforces everywhere. Trust Mobile Communications 12 to bring you up to speed on all the latest developments. Next generation visual solutions are sure to be a big draw in Visual Communications 12. There’s the promise of HD-quality desktop transmission, along with many other solutions to drive down costs and improve productivity. Learn how to develop a comprehensive Social Business strategy and how to collaborate internally and externally in more productive, efficient ways. Registering for either event gives you free access to both. As a show, Unified Communications Expo mirrors the diversity of Unified Communications by bringing together all the key technologies and key people of this rapidly evolving world. Get the answers to all your toughest questions, and practical solutions too. IT security continues to generate attention. Spam, phising, hackers and ever more advanced forms of cyber crime are continuing to pose realistic threats to business. Nowadays companies face all kinds of IT security-related issues, almost on a daily basis. With Storage innovations. Questions which the Infosecurity.be trade fair will address and where you can present your answers. Together with the trade fairs and a LinuxWorld Pavillion, market leaders, associations, speakers and other IT professionals will be offering you their ideas, technologies, services and views on the latest IT security themes. Over 2000 visitors will come to the free seminars, vendor sessions and training courses offered by participants. They will offer you countless new business opportunities. The Channel Partners Conference & Expo is the communications industry's event exclusively for indirect sales organizations — agents, VARs, systems integrators, interconnects and consultants — focused on transforming their businesses to become the next-generation solutions providers. The Channel Partners Conference & Expo is the networking and educational event in the communications industry dedicated to the indirect sales channel in the USA. Over the past decade, this conference and expo has tripled in size to more than 3,000 participants, providing exhibitors with a more diverse audience, more traffic and more exposure for their brands. A sell-out since 2002, the Exhibit Hall offers service providers unparalleled access to connect directly with channel partners. • To meet directly with the key decision makers of the telecom industry. • To discover a one-of-a-kind agent recruitment opportunity. • To understand what prices and products the market is asking for. April will be dominated by IT/ICT events such as the 24th International Fair of Electronic Communications (INTERTELECOM) that will take place on 11th-13th April. INTERTELECOM is the only Polish fair with a full overview of the IT /ICT industry and as such the event has been nominated part of the IT/ICT Trade Promotion Programme (Branżowy Program Promocji IT/ICT). Participants will have a chance to see the latest information and communication technologies, equipment for terrestrial and satellite TV and radio stations, as well as software and mobile technologies. The Convergence Summit North is an exhibition and networking event for the voice, mobile and data Channel in the North of England with over 75 leading suppliers exhibiting, free educational seminars to attend, an array of new product introductions, show special promotions plus fantastic networking opportunities. Venue: Central 1, Manchester Central Convention Complex. 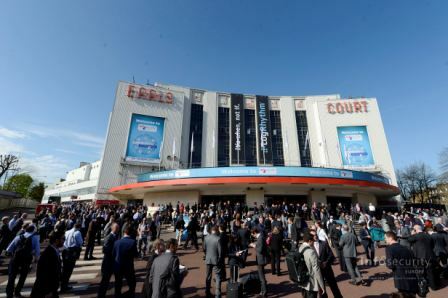 Infosecurity Europe is the largest and most attended information security event in Europe. Held in London, it is a free exhibition featuring over 325 exhibitors featuring the most diverse range of new products and services and an unrivalled free education programme attracting visitors from every segment of the industry. Featuring five conference and seminar theatres and a comprehensive programme of workshops and training courses, attending the Infosecurity Europe Education Programme helps you to further develop your career and learning. From the New Exhibitor zone to the Country Pavilions, discover the latest products and solutions of the local and international scene. This is your best opportunity to receiving expert advice and to discuss your needs with key information security players. Internet World is officially Europe’s largest and longest-running event for digital marketing and online business. Join 11,000 visitors and 300 solution providers ... This year we’re continuing with six new Mini Worlds. With three days of agenda setting content our new worlds guarantee that you truly can source all of your solutions under one roof! . IFSEC International is the only event which brings together the entire international security supply chain together under one roof. From 17th - 19th June 2014 at the Excel, London, UK, IFSEC International will see 650 + ehibitors and 25,000+ security professionals from over 100 countries come together to discover the latest security innovations within the commercial security and fire safety industry. The Middle East’s leading event for Telco decision makers ECOM – Middle East Communications Exhibition & Conference is the total telecommunications event covering Fixed, Mobile, Internet and Satellite communications sectors. Held under the patronage of H.E. Sultan Bin Saeed Al Mansoori, UAE Minister of Economy with the support of TRA and regional operators, MECOM is where the Middle East’s operators and their partners come together annually to do business. European reseller has partnerted with CRN for the past 7 years, helping the UK IT channel work together. Showcasing the latest products, services and technologies, all under one roof. Having started as a 2 day event in Birmingham , then moving to London, last year CRN Partner Connect was held at the Coventry Ricoh Arena on Thursday 17th May, the event covers the complete range of companies, products and skills within the UK channel marketplace. Channel Expo and now rebranded CRN Partner Connect gives you the perfect environment to meet the key decision makers within the industry, see the latest products & services and catch-up with your peers. This event gives direct access to the highest quality VARs, System builders, Consultants, Computer Retailers, IT Suppliers and Converged Resellers. With a fresh slate of records for participation and attendance, Computex Taipei is heading into its 34th year to consolidate its standing as the world's second largest IT show and highlight Taiwan's position as the leading IT supplier to the world. The Global Hub for Next Generation Citizen & Government ID Solutions. The show will track all the cutting-edge developments surrounding the security document industry - from the latest in next generation e-documents - to the cutting-edge developments being made by manufacturers of advanced physical security features. With more than 90 exhibitors and an exciting three-day conference programme, this event is designed for government officials, document examiners, company executives and technologists in the ePassport, visa, eID, driving license, registered traveller, law enforcement, employee ID, security printing, biometric and smart card industries. European Supply Chain and Logistics Summit is well established as the annual meeting place for all professionals involved in the supply chain and logistics industry within Europe. This event has been running for over 16 years and it has consistently been attended by 300+ directors and heads of supply chain and logistics management. Over the course of two days, you will experience a wide range of thought provoking and challenging sessions designed to stimulate and inform. The Annual Cloud Computing World Forum is a Free-to-attend cloud computing event, and the only place to discuss the latest topics in cloud, including security, mobile, applications, communications, virtualization, CRM and much, much more. Join us at Earls Court and will feature all of the key players within the Cloud Computing and SaaS market providing an introduction, discussion and look into the future for the ICT industry. Building on the success of the 2013 show, this two day conference will provide the most complete and comprehensive platform for the global Cloud Computing and SaaS industry. COMMS EXPO has not confirmed this year as yet. The conference and exhibition for the network and data communications industry. The world's largest and most important trade fair for consumer electronics and household appliances ended on 7 September 2011 in Berlin, with orders placed for more than 3.7 billion euros. 239,518 visitors attended the show. 1,441 exhibitors exhibited their latest products in a display area covering 140,200 square metres. eBIT Bilişim Eurasia and CeBIT Global Conferences, top Eurasian IT, Technology and Communication Platform, welcomed the world of ICT. Participants and visitors from the sector pulsed with the deliverables of "CeBIT BİLİŞİM EURASIA"
CeBIT Bilişim Eurasia will bring ICT companies, government and media in the Eurasian region together under the same roof. Covering many vertical industries, including machinery, textile, logistics, tourism, education and healthcare, CeBIT Bilişim Eurasia is the right platform to maximize profitability, reduce costs and manage risk. Record Breaking Attendance for IBC2011! 'We are delighted with this year’s strong visitor numbers. They are a very clear indication of the resilience and optimism of our industry despite the current economic climate. 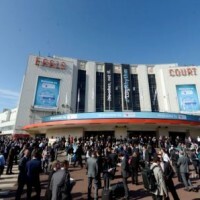 The attendance for IBC2011 stands at 50,462 which is a final increase of 4% on last year’s total attendance of 48,521 by the end of the show,’ said IBC chief executive officer Michael Crimp. ‘I would like to thank everyone for supporting IBC and contributing to another outstanding event. IBC is the leading global tradeshow for professionals engaged in the creation, management and delivery of broadcasting media and entertainment. The event's unparalleled exhibition and agenda setting conference encompass the very latest developments in broadcasting, mobile TV, IPTV, digital signage and R&D making it essential for everyone's understanding of the industry and its future. This event has been carefully designed to give you the best value for your time as it delivers both learning and networking opportunities. Channel partners can request an invitation by registering at the Canalys channels community web site, Candefero. Picking winning trends during industry transitions has been the bedrock of success for distributors. All the different sessions and workshops will provide you with an ample opportunity to benefit from our analysts’ knowledge and advice. Regardless of size, an effective channel approach is vital for success in the mid-market. Expanding your partner program often means meeting and qualifying new partners. Canalys Channels Forums serve this purpose as only selected channel partners are invited to attend and have most of their travel costs funded by Canalys. The Xth anniversary International InfoSecurity Russia show sets ambitious goal to surpass its previous achievements, get globally recognized experts share their advanced experiences with its participants and develop innovative trends addressing contemporary challenges of IT market. Book your participation in InfoSecurity Russia’2014 now to enjoy with the best conditions! Primary Sponsor of All-over-IP Expo 2014: ITV | AxxonSoft – a leading software developer that combines IP-based physical security management, intelligent video surveillance, and an enterprise-wide platform. The 2014 World Retail Congress is your chance to engage with and learn from those steering the world's leading retail businesses. Recognised as the pre-eminent meeting place in the retail calendar, over the last seven years the Congress has brought together over 6,200 of the global retail industry's most influential business leaders and decision makers to challenge current thinking, unveil the latest innovations and shape the direction of the global retail industry. The 2014 event is the one stop shop for retail thought leaders and senior executives to learn about all aspects of retail strategy including the physical store, store design, layout, product sourcing, customer service, mCommerce, eCommerce, responsive design, customer data, multi-channel, in-store digital, social media, leadership and much much more. 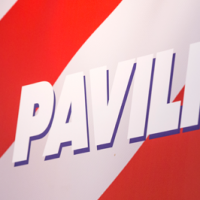 The Successful Selling Exhibition is the UK’s Premier Exhibition for the Sales Profession. The Successful Selling Exhibition, delivered in partnership with the Institute of Sales & Marketing Management's (ISMM) Successful Selling Conference, has been specifically developed to provide businesses with a focused exhibition and educational event, targeted specifically to progressing sales departments. Registration is NOW open for a Comms Channel exhibition and networking event 2014 – on 8th and 9th October at Sandown Park in Surrey. If you work in the Comms, IT and Mobile Channel, make sure you book your free place early! Our exhibition and conference format offers resellers the opportunity to meet with suppliers, see demonstrations of all the latest products and technologies, attend free seminars and industry round table events, view new products being launched into the market plus gain insight from industry analysts. IP EXPO Europe is Europe’s number ONE IT infrastructure and cloud event, the ONE place where technology comes together. IP EXPO Europe is the only must-attend show of the year for CIO’s, heads of IT, technology experts and engineers. In just two days, you can immerse yourself in the very latest developments in Cloud, Security, Data Centre, Mobility, Analytics, Infrastructure and more. IP EXPO Europe has 300+ exhibitors and 300+ free to attend seminars from both business and technically inspired thought leaders. GITEX TECHNOLOGY WEEK - Where Technology Means Business MEASA’s biggest ICT event featuring more than 3,500 companies and over 138,000 industry visitors. GITEX offers a week packed with business networking, product showcasing, and brand launch platforms for regional and international decision makers. “GITEX consistently delivers the highest standards and provides us with an immense return on investment year-on-year.” Johnny Karam, Managing Director - MENA, Symantec At GITEX, even the highest expectations of first time exhibitors and long-term stalwarts of the show are surpassed. Feedback has reinforced GITEX as one of the most influential ICT exhibition in the world. Over 85% of exhibitors exceed their ROI expectations through: Deals conducted onsite, new partnerships created and future leads identified during the technology week. International Telecommunications, Wireless and Broadband Technology Exhibition and Conference EXPO COMM is a circuit of 8 important international exhibition events taking place in Europe, Asia, and the Americas, dedicated to the sectors of Telecommunications, Wireless, Broadband, Media, Internet, Networking, Information Technology and IT Security. EXPO COMM addresses the international ICT community and, for more than 20 years, has been the most important platform for presenting the ICT solutions and applications that help create new importance and new skills, encouraging and supporting the development and growth of national economic systems. EXPO COMM ITALIA 2011 is the Italian edition of the International exhibition event dedicated to the latest in Information & Communication Technology. It will take place in Rome, at the new Fiera di Roma convention center, EXPO COMM ITALIA 2011 is organized as a joint-venture between Fiera Roma and, E.J. Krause & Associates Inc. organizers of the EXPO COMM brand name events worldwide. Europe's leading trade fair and conference for enterprise content, output and document management Hardware and software, complete solutions and services from the following areas: Enterprise content management, Document management, Web content management, Business process management, Records management, Information life-cycle management, Output management, Input management / Capturing solutions/ Incoming mail processing, Technical documentation, Product information management, Storage management this attractive trade fair for IT decision-makers The concept is successful: substantially more exhibitors, far more visitors and a much wider catchment area with marked internationalisation make IT & Business and DMS EXPO a joint must-attend event in the trade fair calendar. The IT & Business, a trade fair for software, IT Infrastructure & Services, the IT exhibition for the middle class. IT managers and business decision makers get information about business IT solutions that are closely aligned to the needs of SMEs. The products on display, ranging from ERP to MES on PPS, CRM and DMS, IT security and IT infrastructure. Other topics include BPM, BI and Green IT. Meet at the flagships of the industry, make new contacts and learn about current developments in the stands and in the high-profile program. The biometrics industry always features highly on lists of ‘markets to watch’. While it is still classed as an emerging market, it nevertheless holds the promise to become a substantial entity in its own right. This stream comprises the world’s leading market pundits, who will explain where the market is today, what its potential is and which companies to watch. Track how your market segment is likely to perform, justify your investment, understand where the future drivers are coming from and hear from the experts just what is needed to push the market to new levels. All-over-IP Expo 2014 New Educational Content introduces the 2nd annual Safe Cities Conference, a completely re-branded event aimed at professionals concerned with efficeincy of city security and IT solutions. The new idea behind the conference 2014 is deliver smart, real-life global and local practices and approaches. Safe Cities Conference 2014 retains the last year-s values (coverage of key topics, high-level speakers, professional audience) and adds to its qualities. For the sixth year in a row, All-over-IP Expo, organized by Groteck Business Media since 2008, brought together global IT and security vendors, local channels and end-users – on November 20–21, 2013 in Moscow, Russia. 1. The exhibition introduced new-generation and marginal products. Sophisticated customers were offered not only advanced services and functionality, but also exquisite designs. The exhibition and educational programme covered the most selling product areas: Video Surveillance, Machine Vision, IP Networks, Communications, IP Security, Data Storage, Cloud and Virtualization. Andrey Miroshkin (Groteck Business Media): "It is good to see people moving around the exhibition at breakneck pace – All-over-IP Expo remains the busiest event. One day at All-over-IP Expo delivers as many leads to exhibitors and visitors as they usually have during four days at any other event in Russia. The educational programme hardly fits into six conference halls working non-stop during both days." 2. Global IT and security companies introduced new products and business-models for 2014 on a massive scale. Vendors with the world's largest R&D budgets showcased outstanding results of their R&D investments. Visitors learned installation practices and got the best business offers for 2014. It seems that Angel publishing has woken up SNW Europe returns to Congress Frankfurt with a wide range of educational conference content and a comprehensive expo floor featuring the leading IT vendors operating in these key markets – data management and storage; server, desktop and storage virtualization and IT datacenter technologies including cloud services and solutions. Also in this edition you will find again a broad program of exhibitions, seminars and lots of strong activity. But of course it's all about the new products, solutions and services that the companies bring to the show. Communication World is the trade fair and accompanying conference on the topic of intelligent and flexible mobile IT solutions that has a consistent business focus. It shows users and service providers from industry, SMEs and the public sector pioneering and practice-oriented strategies and solutions for mobilizing their business processes. Thanks to the combination of the trade fair and the conference and an interdisciplinary range of exhibits, it gives everyone involved the perfect setting for an efficient exchange of ideas and information and intense business contacts. Communication World’s exhibitors are national and international active hardware and software companies, system suppliers and service providers in the sectors for business applications, infrastructure, communication and media. Transport Security Expo is the principal international event bringing focus and clarity to the complex and multifaceted task of ensuring our public transportation and commercial supply chain networks remain well protected from acts of terrorism and incidence of organised criminal activity. Within the heavily interconnected and interdependent world of the global transportation industry sector, this event delivers a holistic examination of the dynamic and continually evolving threats faced and the solutions to them. This is a highly specialised and unique event which gathers the world's leading experts from government, the military, security services, law enforcement, industry and academic circles together to deliberate on the challenges faced and to drive the adoption of operational countermeasures. The Prysm Group's flagship exhibition has never been so relevant or crucial to British business as it is today. It is the UK's biggest show for anyone starting a business or expanding a business, and with over 200 exhibitors, 150 seminars, one-to-one advice and networking. Highly regarded as the perfect opportunity for start-ups and business owners to find all the tools and information to help their companies thrive, the Show continues to grow and grow in accordance with visitors' needs, with new features and opportunities being added every year. For the exhibitors and speakers that participate at the show, it has proved an equally productive success – which is why we always see them return for more. The biannual Startup Show has become a staple of the business world: a forum where companies and fledging entrepreneurs are brought together to share ideas, products and services in the most traditional of business exchanges. Experience the hub for ID technologies from 18 – 20 November 2014 in Frankfurt am Main, Germany. For the second time two leading events on the topic of identification will be co-located. The Euro ID exhibition is the established meeting place for manufacturers, solution providers, distributors, system integrators, consultants and end-users of identification.